Robinhood and Stash are among the best investment apps to trade the stock market. Each mobile app has its own unique twist on stock market investing and both do an excellent job catering to beginner investors. If you are not sure how to get started investing or don’t have wads of cash weighing you down, Robinhood and Stash are good places to begin. 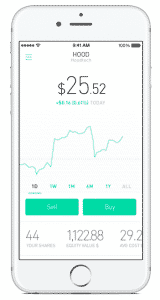 Robinhood makes investing in the stock market accessible to almost everyone by not charging commissions costs to buy and sell stocks, ETFs, and cryptocurrencies while Stash makes it easy to invest in themes that align with your values, and throws in free, extensive education for good measure. So, when comparing Stash Vs Robinhood, which is the best investment app for your needs? Is Robinhood Gold Worth It? Stash vs Robinhood: Which Is Better? Should You Use Stash Or Robinhood? Robinhood is a stock brokerage firm with a twist. Unlike most stock brokers who provide web-based and/or downloadable desktop dashboards to facilitate trading, Robinhood is a mobile app that lets you trade via your mobile phone. Robinhood receives two thumbs up for making stock, ETF, and crypto trading free. When you buy and sell stocks and exchange-traded funds, you pay no commissions whatsoever. SEC and FINRA fees still apply because Uncle Sam pockets his share, but Robinhood won’t charge you a penny. You might wonder how does Robinhood make money if it doesn’t charge you commissions to transact in the stock market? (1) Customers who want to trade on margin as part of its premium service, Robinhood Gold, pay tiered monthly fees. (2) Robinhood makes money on cash sitting in brokerage accounts by loaning it out. (3) Robinhood sells customer order data to market makers who pay a fee for sending them trades. Robinhood lacks the bells and whistles of a top tier trading platform. You won’t find the analyzers, simulators, or capability to trade options, forex, or futures as you would at thinkorswim but for stock, ETF, and cryptocurrency traders, it’s hard to beat. Stash is an investment app designed for beginners to make it easy to invest in themes you care about. Want to buy environmentally friendly stocks? Pick the Clean and Green investment category. Not sure how to get access to China, choose Colossal China and your wish is granted. Categories are labeled intuitively so you won’t have any doubts about where your money is invested. And you can screen categories quickly to filter out ones you prefer to avoid. Stash also wins high marks for its extensive educational library which is designed to help you make better investing decisions. Stash fees are $1 monthly for amounts up to $5,000 and 0.25% of assets on amounts of $5,000 or higher. Robinhood charges no commissions costs for stock, ETF, and cryptocurrency transactions. Unlike robo-advisors who automate the process of investing your money, Stash and Robinhood give you control over your investment selections. When you buy and sell at Robinhood, you won’t pay a dime in commissions costs, even if you buy and sell Bitcoin or Ether. No Robinhood hidden fees exist to worry about either. In standard taxable accounts at Stash, you are charged a very affordable $1 monthly for amounts under $5,000 and 0.25% annually for account balances of $5,000+. Fees are slightly higher for Stash Retire, which caters to Roth IRA accounts. It costs $2 per month for amounts under $5,000 and 0.25% for amounts of $5,000 or higher. Robinhood has tiered pricing for traders who wish to use margin. If you are not familiar with margin trading, it means borrowing to invest. So, you can borrow from Robinhood to buy more stocks or ETFs than would otherwise be affordable with your account cash balance. Pro Tip: Margin trading amplifies your gains as well as your losses, so it should be used with caution. Like any borrowed money, margin has a cost associated with it. But unlike most borrowed money on which you pay interest, Robinhood Gold applies a monthly fee to margin funds. The price structure is tiered and starts at $6 monthly. The most you can borrow is 2x the cash you deposit. The small monthly fees applied to Robinhood Gold users’ accounts are hard to beat. However, savvy traders should pay attention to the total borrowing costs as a percentage before electing to use margin. Stash charges small monthly fees of just $1 on amount up to $5,000. Although $12 per year is hard to beat, you could argue that on a $1,000 balance it translates to a fee of 1.2% on assets. Compared to Betterment, where a fee of just 0.25% would be applied to the same $1,000, it seems high. However, on amounts of $5,000 or more both Betterment and Stash charge the same 0.25%. Robinhood is a better choice if you are fee conscious and can do your own stock research but if thematic investing, education or account selection is important to you then Stash is the better choice. On cost, Robinhood takes home the victory. It’s hard to beat zero commissions costs! But what about other factors, such as learning how to trade, aligning your investments with your values, and account selection should you consider? Stash has an extensive library of educational material to help you make better investment decisions. Although it’s not catalogued in a particularly structured manner, information is pretty much at your fingertips with a simple search. If you can set aside the haphazard assortment of articles, the quality of the information is excellent and superior to Robinhood. The bottom line is if if you are not sure how to allocate your money and want to become better at growing your nest-egg then Stash is the better option. Thematic investing underpins the investment choices available to Stash customers. If it irks you to invest in oil companies that have been responsible for ocean spills and pollution, or the idea of renewable energy or gender equality resonates then Stash is for you. It enables you to match your values and your investments. You pay more at Stash but you also get more. If the bare bones approach of buying and selling is sufficient for you then Robinhood is all you need. However, if you want exposure to a collection of dividend paying stocks or conservative stocks with the touch of a button, Stash is the way to go. It does the research so you don’t have to and builds lists of thematic stocks that you can buy easily all at once. Both Robinhood and Stash cater to taxable accounts but only Stash supports retirement Roth IRA accounts, which enable you to contribute after-tax dollars and grow earnings tax-free. When you make withdrawals from a Roth IRA, the monies are not taxed – unlike a traditional IRA which is funded with pre-tax dollars. A knock against Stash is that, unlike most other brokers and robo-advisors, fees are charged to your bank balance. For most people the fees won’t be so high as to become worrisome that cash reserves will be depleted, but it is less than ideal compared to the normal protocol whereby costs are deducted directly from investment accounts. Robinhood and Stash shine in different areas so the best investment app for you depends on which features are most important to you. ✅ No Commissions: What’s not to love about paying no commissions costs. Robinhood wins hands down on cost against just about every competing investment app. Margin trading does come at a monthly cost, starting at $6. ✅ Thematic Investments: Choose dividend paying stocks, blue chips, environmentally-friendly stocks, conservative stocks, global stocks and a host of others easily. ✅ Low Account Minimum: Open a Robinhood account without contributing a dime, but to invest obviously you will need to deposit cash and to trade on margin, the minimum needed is $2,000. ✅ Education: An extensive library of valuable information to help you make better investing decisions is at your fingertips. ✅ Easy Setup: Setup is speedy, account verification is fast, and cash transfers are straightforward at Robinhood. ✅ Social Connectivity: After you make a trade, share your investment selections easily on Facebook (portfolio value and account balances remain private). ✅ Margin Trading: Adventurous traders who can tolerate more risk have the option to amplify gains by using margin at Robinhood, though beware that risks increase too. ✅ Easy Navigability: Stash isn’t the easiest app to set up but when you’re in it’s highly intuitive to make additional deposits, learn, and even automate recurring deposits with Auto-Stash. ✅ Mobile Friendly: Robinhood is compatible with iPhones and Android phones. ✅ Mobile Friendly: iOS and Android users can both use Stash. Which is the best investment app: Stash or Robinhood? Stash is good for investors who want to begin with small amounts of money. A standout feature is that you can buy fractional shares, which makes smaller and less expensive transactions simple to execute. This platform is ideal if you want to learn as you go without taking on much risk – Stash provides plenty of educational help along the way. The fee charged to each user is only a dollar a month until their balance is over $5000, which makes starting to invest accessible to just about everyone. Robinhood is more like a traditional investment platform for online stock trading. But Robinhood may be more attractive to some people new to trading because there is no minimum balance, monthly fee, or commission paid to a bank or broker. In spite of these loose requirements, Robinhood can be more expensive to begin because you must buy and trade real stocks at full value, as there is no fraction option. This may also create more of a learning curve or margin for error for users, as novices are essentially playing in the big leagues right away with little guidance. However, the user interface for the Robinhood app is actually easier to learn than Stash. While the monthly fee for Stash seems very low, it can be expensive to use for those who are only investing small amounts, where Robinhood is totally free. Yet Stash is probably a better place to actually learn about finance and investing for newcomers, even if they only want to invest small amounts of time and money to begin. Robinhood may be better for those with some experience and knowledge because of its ability to function as a full trading platform. However, Stash gives users more opportunities to learn as they go in exchange for a small fee. ‹ Can I Live Off Interest On A Million Dollars? Great summary and comparisons. Thank you.